Fill in your details below and we will let you know within 24 hours if we can get Carcassonne: Amazonas to you with haste! 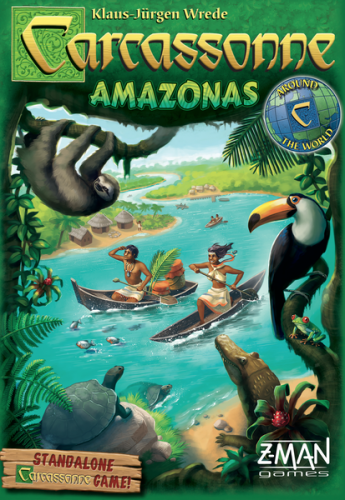 In Carcassonne: Amazonas, players sail their boats to the Amazon to discover abundant wildlife. Players score points not only for discovering animals, but also for visiting native villages and water courses while their boat moves forward on the Amazon.